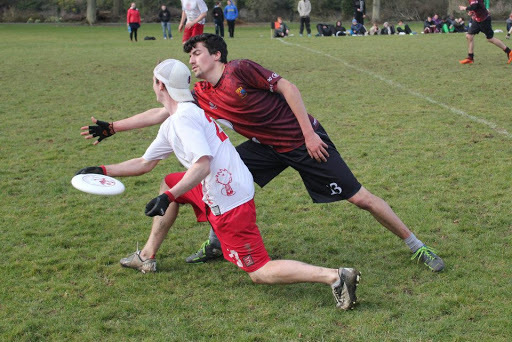 David Pryce brings us his brief preview of University Open Outdoor Nationals being held this weekend in Nottingham. This weekend 32 open teams will travel from their respective corners of the country to University Nationals. Regionals was (for most) a month ago, the snow has cleared and we have even had some sun. I will now attempt to give a brief preview of the upcoming weekend and, after 7 years of failing, attempt to make some predictions about both divisions. Pool A: Sussex, Manchester, Edinburgh, Leicester – some would say the pool of death with current champs and a lot of strength in all four clubs. I would say Sussex and Edinburgh to edge it and take the top two spots. Pool B: Cork, Cardiff, Surrey, Aberdeen – A very similar pool to last year for Cork, Aberdeen and Cardiff. These three are at a similar strength to a year ago and so I wouldn’t be surprised to see a three way tie here. Pool C: Bath, Cambridge, Sussex 2, Sheffield – All props to Sussex 2 for making it this far but I cannot see them getting higher than third in the pool here. With Alex Brooks pushing Bath all the way and Elliott Moore and Dom Dathan doing the same for Cambridge few would bet against one of those two topping the pool. Pool D: Dundee, Southampton, Birmingham, Durham – Of the four pools I would say this is the most open but if asked to go for it, I would put Dundee and Southampton as the top two but very closely contested by Birmingham. This would make the top 8 look something like: Sussex, Edinburgh, Bath, Cambridge, Dundee, Southampton and two of Cork, Aberdeen or Cardifff. With a couple crossovers, quarters and semis to play before the final and the Nottingham venue known for it’s windy temperament you might favour the Brighton and Scottish teams but as is the way with our sport it’s about who peaks at the right time. I predict a Sussex versus Edinburgh final. Pool E: Exeter, Leeds, Strathclyde, Portsmouth – A real tough pool to call here with a lot of strength across the board. Exeter still hold the edge at top for me and one of Leeds or Strathclyde. Too hard to call between the two but 12:10 on pitch 17 will decide for me. Pool F: Loughborough, Liverpool, St Andrews, Plymouth – Another hard one however the Loughborough and St Andrews teams have very strong training programs and so I would put my money on them. Pool G: Bristol, Newcastle, Nottingham, Imperial – I am slightly biased here so for integrity will avoid talking about Imperial directly however I wouldn’t write us off in this pool. Another three way tie between Bristol, Nottingham and Imperial? Pool H: Warwick, Glasgow, Limerick, LSE – An Irish team are always a tasty addition to Nationals but I think the strength of Glasgow and Warwick will power through to the top 8. This make the top 8: Exeter, Loughborough, St Andrews, Glasgow, Warwick and three of Leeds, Strathclyde, Bristol, Nottingham or Imperial. As you can see and know div 2 is much more open than div 1. There are definitely more teams able to sneak into the top 8 and to the point where these predictions are pointless. Expect some upsets and unexpected finalists here. All in all, look forward to big plays at both ends of the field, old postgrads getting angry and even, fresh faced first years skying and laying out for everything. Not forgetting the Alumni Cup in it’s second year, anyone can win it BUT can Leeds defend their inaugural title? Can’t wait, see you there UK! Push Pass Productions will be filming predominantly on pitches 11 and 12 so look out next week for releases of finals etc, like them on Facebook to stay informed! Blockstack.tv will also be covering the event with team photos and gameplay photos too: contact Andy Moss for more details. Twitterazzi have already started commenting with the hashtag #ukuuon and follow all the teams’ tweets for results. David will be at the tournament with Imperial so if you have any ideas or questions go ask him and don’t forget to like and follow us too!! Mark Earley brings us the story of University College Cork’s year so far in their journey to Nottingham. 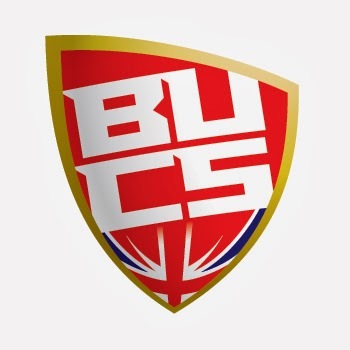 Cork will be attending UK University Nationals next week with aims to avenge a painful finals loss at the hands of the Sussex Mohawks last year. In Ireland the tournament that decides which university teams are the national champions is called Intervarsities and it takes place relatively late in the calendar year (April). Given the size of Irish Ultimate the Mixed and Women’s Intervarsities are smaller affairs with the Open division tournament canada goose Canada Goose mænd being the centerpiece of the university season. That said, the Cork outfit, UCC Ultimate currently hold both the Women’s and Mixed events and were looking to win their third title of the season last weekend. There is no qualification process for Open Intervarsities and all colleges are encouraged to bring as many players and teams as they can muster. Since the first Intervarsities took place the number of teams in attendance has ebbed and flowed, peaking at 16 in 2009, a number almost equalled this year. Open Intervarsities took place last weekend in Maynooth, a town just outside Dublin in wet and very windy conditions. Fifteen teams took part with a pick up canada goose Chateau Parka team helping to round out the schedule. Going into the tournament it was hard to look past one of three teams as potential winners – UCC from Cork who had won the tournament 3 years in a row, and the two strongest Dublin-based college teams, UCD and Trinity. 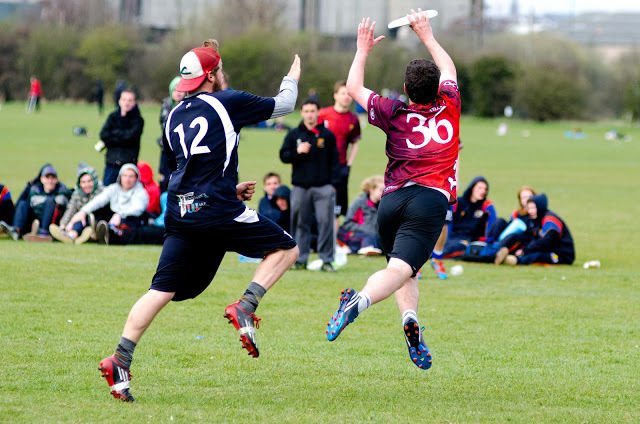 Three other teams, DCU – the college team from where WJUC took place last August – UL, from Limerick and NUI Maynooth, the home team, were expected to battle it out for the remaining semi-final spot. After an upset free Saturday, it was Maynooth who caused the big shock of the tournament by winning their quarter-final on universe point against DCU. This was quite a break through for the team and their first time making it through to the semi-finals. (Later in the day they would add the Spirit Award to their top 4 finish). Cork, Trinity and UCD all joined them, as expected. The pick of the semis was a battle between long-term rivals UCD and Trinity. Both teams had looked strong up until meeting and went in to the game confident but it ended up being a match that will be remembered for the upwind downwind conditions as opposed to for the Ultimate. At first, neither side managed to do much more than play for territory but it was Trinity who imposed themselves getting a brace of upwind goals to build a 4 point lead that they kept until half. UCD fought back in the second half but the gap was too much and Trinity progressed. Elsewhere UCC took care of a young and determined NUI Maynooth with little fuss, advancing into the final, making it a rematch of the previous year. UCC captain John ‘Doc’ Doherty put their performance against what he called ‘the tournament surprise package’ down to their considerable advantage in terms of experience. ‘A lot of us playing so well in this game was down to the fact that we were much more experienced than Maynooth in the windy conditions, and they had a lot of up-and-coming players who probably hadn’t played that much in such conditions before’. The final took place on a slightly more sheltered field and Cork came out on D to start. They turned Trinity in the first point and after a dropped pull in the second were very soon 2-0 up. This became 3-0 after more tight defence and the Corkonian team were in a position they are familiar with – bossing the pace of a game having taken an early lead. Trinity captain Finnian Flood explained that having gone three points up early ‘UCC played with a lot of hunger and composure. Suffocating our O with their strong defense and hitting the open man on their offence whether it was an under cut or a deep strike’. This was echoed by his counterpart Doherty who was pleased with their performance; ‘The offence was patient, the D was tight. We played like we knew we could in the first half to get the lead. I think in the second half we could have been a little more patient, because the wind picked up a lot, and we tried to force it a bit’. Trinity came back into the game with Sam Mehigan, Brian Boyle and Sean O’Mahony helping to add a measure of respectability to the scoreline but realistically it was all over as a competitive game by half-time. Standout performances came from a number of Cork players including veteran Donal Murray and captain John Doherty, It’s worth noting that UCC had lost twice to Trinity earlier in the season so to win the final 13-6 to win their 4th title in as many years will have given them great pleasure. Given how late the Intervarsities tournament takes place, qualification for UK Uni Outdoor Open Nationals takes place via a University League held in February. UCC will be representing Ireland in Nottingham next week and are looking forward to it. We spoke to their captain Doherty about the trip and he had the following to say: ‘It is always hard to tell what we will come up against in the UK. I saw some of the defending champions Sussex at Siege of Limerick, and they looked even stronger than last year. So we have them as the team to beat standard-wise in order to be good enough to win it. We are missing a good few big players from last years team – last year’s captain Donal O’Donohoe, Mark Fanning and the star player all weekend Kevin Rice, but we have five new first year students this year who we think are capable of stepping up when needed’. Last year the boys from Cork finished runners up after an excellent string of results but couldn’t beat a Mohawks side who were (and arguably still are) in a rich vein of form. That said, Doherty and his team are going over with only one thing in mind: ‘My team mates would be amazed if I said we have any other plan than to go over to Nottingham to win the tournament. 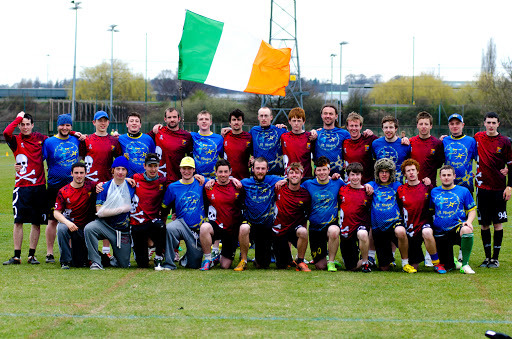 It’s been our goal all season to win our own Irish IVs, and to then go to the UK and win UK Nationals’. This comment could be construed by some as arrogant but it would be slight on the Cork mentality to brush it off like that. Focus, determination, hard work and tactical intelligence are the mark of this team. 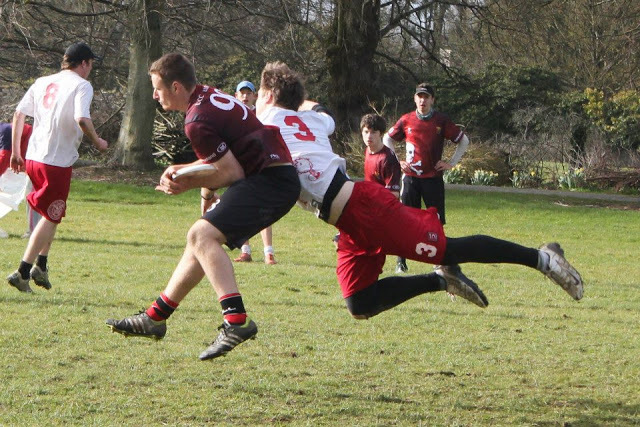 As Flood, the Trinity captain, commented ‘They (UCC) are a very experienced, hungry team with a lot of athleticism and confidence and should do very well in Nottingham. Teams will have to play smart to beat them, but one thing is for sure – at UK Nats they won’t give up anything easy’. We wish them the best of luck on their trip, as no doubt do the many Irish players they are representing. Photos courtesy of Sarah Cummins & Mark Earley.